Post subject: Aircraft lost due to dogfighting during borderwar. I know the list of lost aircraft is long but how many was due to pure dogfighting. I can't produce a list right now, but I do know it's a very low number. Probably less than ten aircraft lost on all sides due to air-to-air action. It was Mirage F1CZ 206. Her rear fuselage was mated to 205's front fuselage that was damaged in an fire if I am not mistaken. Became known as 205 and a half. Someone please correct me if I am wrong on this fact. Also don't remember another direct air-to-air loss on the SAAF side. On the Angolan side Two Mig 21's shot down (F1CZ kills). Six/four(?) helicopters (Hip/Hind) by Impala's. Might be more but can't recall now. It was Mirage F1CZ 206. Her rear fuselage was mated to 205's front fuselage that was damaged in an fire if I am not mistaken. Became known as 205 and a half. Someone please correct me if I am wrong on this fact. Correct, 205 caught fire landing at Langebaanweg on 8 Feb 1985, so was rebuilt using rear of 206. The above is not official, open to correction (lots!) and I strongly suspect the second MiG-21 managed to return to base, albeit damaged. Doubt a third MiG-21 was claimed. Do you have more details on this one. Was this air- to- air? That's the one I have my doubts about. Hi. The second Mig 21 landed damaged to such an extent that it was scrapped. That Mig 17 was the Bomba defection that was escorted in, it was not 'forced down' as far as I know. Second Mig was possibly not a kill but rather damaged. Lionel Reid is putting together a book with input form Cuban pilots and has researched this and it seems likely not a kill. Never heard of the 3rd MiG. Also last two are new to me. Agreed that MiG-17 was not a force down - some thoughts that it was a planned defection....anyway, fun to speculate. Okay guys, let's set the record straight quickly. 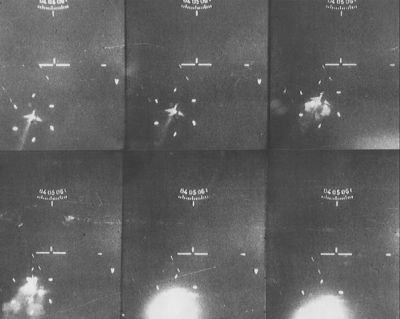 We have two confirmed Mig-21 kills with gun camera footage of both events ending with the Mig in a fireball. Both times J. Rankin was at the controls and flying a F1CZ (213 & 203). The kills happened in 1981 and 1983 respectively. I have never heard nor read about the third F1AZ Mig "kill" in 1985 though, so I suspect that might be inaccurate. There were a few close but no cigar meetings where the SAAF aircraft could not get into a position to engage the Angolan Mig or the missiles fired exploded behind the aircraft. May 1982 30mm	1 Mi-8	Angola	Mirage F1AZ was Martin Louw and John Inngs strafing the Mi-8 on the ground. On 13 May. Not a dogfight. Also 3 sqdn, F1 CZ. I know as it was on Martins birthday.His camera was US but John confirmed it. There was no 3rd kill. The missile exploded behind the Mig. 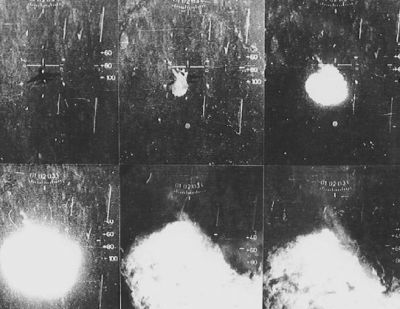 The 2nd fireball Mig was the one that managed to land and was then scrapped. It was apparently dropping the Fuel tank that ignited when the rounds hit it and not the Mig that fire-balled. There were two Migs that day. The first Mig flying as wingman was damaged by a Matra 550 which exploded close to the aircraft's tailpipe. That aircraft did make it back to base but could not lower the UC so was further damaged upon landing. I am pretty sure that is the one that was scrapped. The second Mig whom was the leader of the formation was hit with 30mm cannon fire and he exploded in the air. He was the second and last confirmed Mig kill of the war. I have provided the gun camera footage in my previous post.